Transparency is a visual effect that has had a big impact on the graphic arts industry. 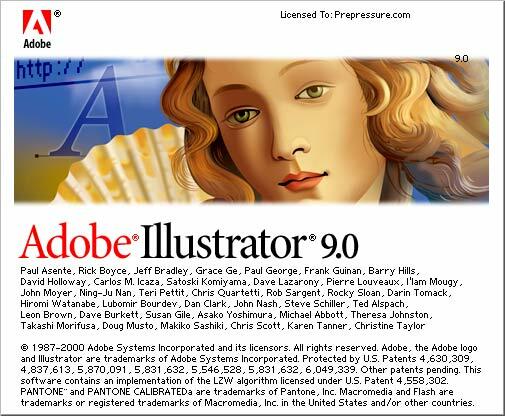 In 2000 Illustrator 9 is the first Adobe application to support transparency. Other programs such as Corel Draw already did this for ages but they have to resort to software tricks to emulate the effect. Adobe can go much further: they add native support for transparency to the PDF file format as well as to their APPE RIP platform. The marketing for Adobe’s design and layout applications pub much emphasis on the creative advantages of using transparency. It takes a few years before processing files containing transparency becomes a non-issue. Creo buys Scitex’s prep-press operations and becomes one of the largest graphic arts companies with a 20% market share. Screen introduces Trueflow, a prepress workflow based on an Adobe PostScript 3 interpreter and Screen’s own powerful imposition and trapping engines. It is the first major web browser based workflow, mainly targeting the lower end of the market. At drupa, Agfa introduces a version of its Galileo CtP system which can image visible light violet plates. The thermal-versus-violet debate rages on for several years, to be replaced by the discussions surrounding process-free technologies 5 to 6 years later. 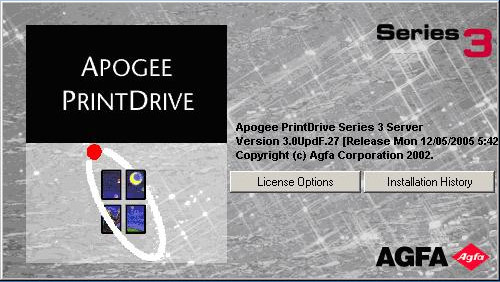 The engine gets its data via PrintDrive, a software application that stores bitmap data and that can act as a TIFF-catcher. At the same show the Screen FlatRite 1050 shows that 4-up (B2) printers are also ready to make the move to CtP. Agfa will later market this machine as the Palladio. At drupa the focus is on presses like the waterless offset KBA Cortina, the Heidelberg/Kodak NexPress and the Manroland DICOweb. A lot of attention also goes to the PrintCity-consortium who show CIP3-based integration between solutions of its members. 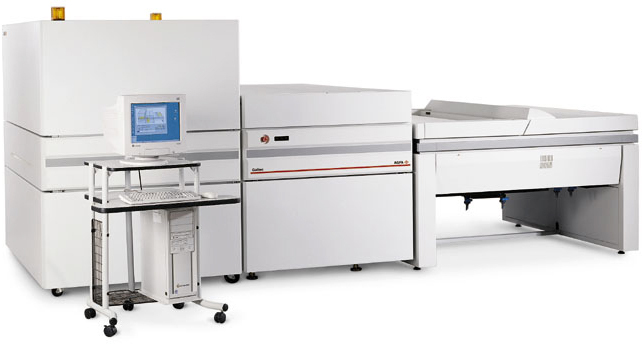 Inca is formed as a spin-out from Cambridge Consultants Ltd. Their Eagle is an early wide format UV inkjet printer. The Wasatch SoftRIP is the newest product from Wasatch Computer Technology, founded by Mike Ware in 1982. It becomes a popular choice for driving the increasing number of inkjet devices that hit the market in the following years. Dynagram Software introduces the Macintosh version of its imposition application DynaStrip. Cerulean (Pantone 15-4020) is the color of the year. Adobe launches InCopy 1.0, a writing and editing application that integrates tightly with Adobe InDesign to enable enhanced collaboration between design and editorial teams. Barco Packaging Systems announces Plato, an imposition program to create complex step-and-repeat arrangements. Warnock Pro is a new type composition family designed by Richard Slimbach and named after John Warnock, the co-founder of Adobe Systems. Another typeface released that same year is Fago, from German type designer Ole Schäfer. A Concorde crashes and kills 113 near Paris. The airplane is retired from active service. The mad cow disease scares the population of Europe. Stephen King sells his novella ‘Riding the Bullet’ exclusively in electronic forms as an e-book. Several women declare their love for me in an e-mail. Unfortunately it turns out their computers were infected by the ‘I love you’ virus. A manual recount of votes is needed in Florida to declare George W. Bush the winner of the US elections.